Adjustable bracket with lip. 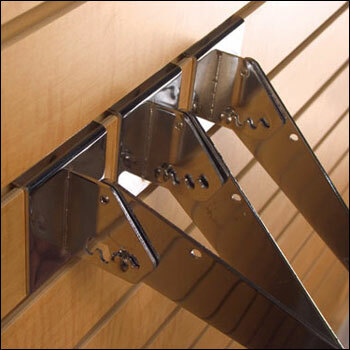 Accepts shelf rests and bumpers for glass shelves. Works well with wood, bullnose plastic shelves or glass shelves. Color: chrome.